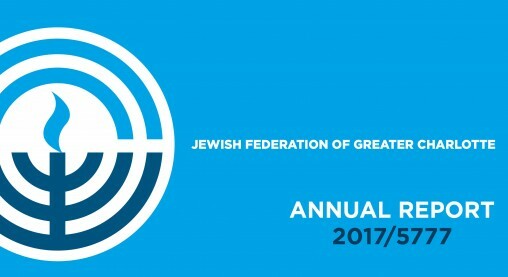 Thank you for enabling Federation to fulfill its mission of enriching Jewish lives locally, nationally, in Israel and around the world. Your extraordinary acts of tzedakah and gemilut hasadim continue to make the world a better place. CLICK HERE to download the 2017 Annual Report. If you prefer a printed copy, contact the Jewish Federation at 704.944.6757 or email. The Jewish Federation of Greater Charlotte strives to be completely transparent in our financial reporting to donors and constituents. CLICK HERE to view our IRS 990 and Financial Statements.